Global investment bank Goldman Sachs has declared its bullish sentiment on the red metal. Are others set to follow suit? Read on for what other industry participants had to say about the future of copper prices. The surge in copper prices in the latter part of 2016 brings cautious optimism to investors and industry participants alike. In December, global investment bank Goldman Sachs dramatically changed to a bullish sentiment on the red metal, after holding a bearish sentiment since 2015. In the second half of 2016, big events rattled markets and shook up copper prices: Benchmark copper was up after the Brexit announcement, copper prices surged after Trump’s win in the US election, and a 16-month high of $2.62/lb was reached in November. The copper price dipped to a low of $1.93/lb on January 19, but the red metal has gained back some ground in the latter half and is still sitting well below the $3-per-pound mark–largely due to a decrease in demand growth from top consumer China. According to the most recent report from the US Geological Survey (USGS), global copper production increased by 200,000 tonnes for a total of 18.7 million tonnes in 2015, despite reported production cuts from major miners. The International Copper Study Group expects that world mine production will remain unchanged in 2017 after a 4 percent increase in 2016. The Wall Street Journal quoted Chris LaFemina, an analyst at Jefferies, as saying that the global copper market is expected to shift from a marginal oversupply in 2016 to flat in 2017 with a slight deficit in 2018. LaFemina also mentioned that the copper market has been in surplus in the last seven years. Goldman Sachs announced a bullish sentiment, expecting prices to rise to $6,200 over the next six months, or roughly $2.81/lb. Its previous six-month call was $4,800 or $2.18/lb. The investment bank conceded, “The rally in copper prices over the past two months was in sharp contrast to our more bearish expectations.” Goldman Sachs is also expecting a decline in mine supply by 0.4 percent in 2017 compared to a previous forecast for 1 percent growth. 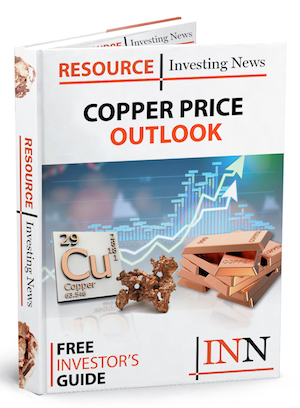 Goldman analyst Max Layton also stated that improved supply and demand fundamentals contributed to the surge in copper prices, and he sees it continuing into H1 of 2017. Industrialization or a glut in the market? Back in August when Trump was on the campaign trail, Bloomberg reported that his plan was to rebuild US infrastructure “at least double” the amount that Hillary Clinton declared, which was estimated at $275 billion over five years. Whether or not Trump makes good on his promise of an increased infrastructure spend, it seems that copper is up for a better year ahead. 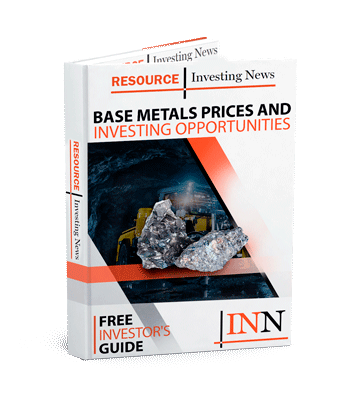 Analysts and key industry players both agree that although a correction in the copper price is imminent, Dr. Copper may be signalling that the “mining sector is officially out of intensive care.” Certainly, Goldman Sach’s turn from bearish to bullish on copper speaks volumes on the future of the red metal as well. As Ioannou stated, 2017 may see an emergence in supply-demand balance, which bodes well for copper miners, especially those poised to meet demand from China, the world’s biggest copper consumer. 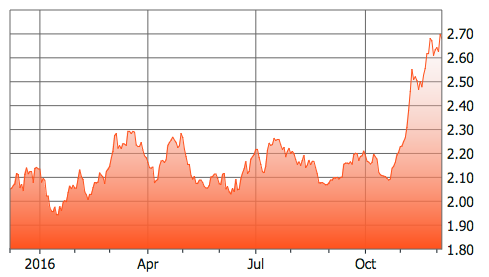 What it boils down to is nobody really knows for sure if copper is going up, going down, or staying the same.